I’ve been drinking tea for long enough that I don’t often run into something that I haven’t seen before. The shape of these leaves was new to me though. They were like a larger version of dragon well leaves that stuck together, very interesting. 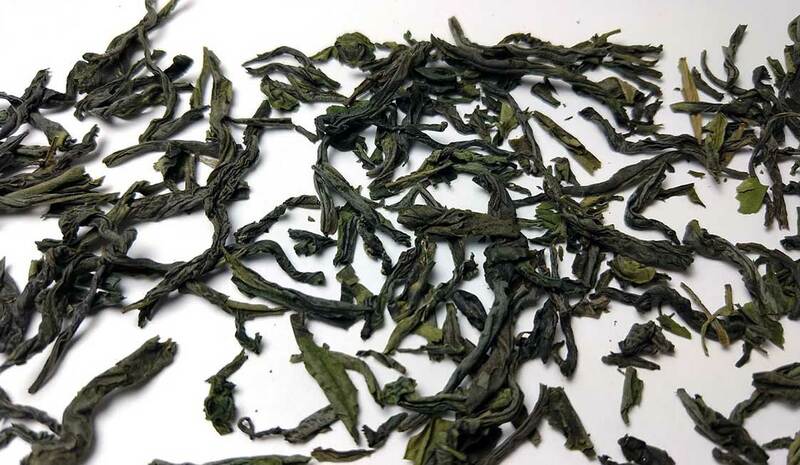 The tea is pleasant, a light flavor with more sweetness than grassiness. 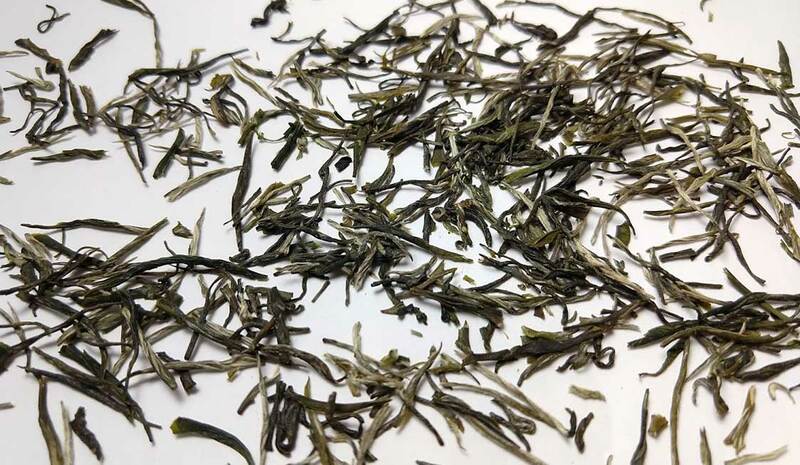 Delicate for a green tea, but very enjoyable. I brewed this tea twice to make sure I didn’t just mess something up, but it came out the same both times. 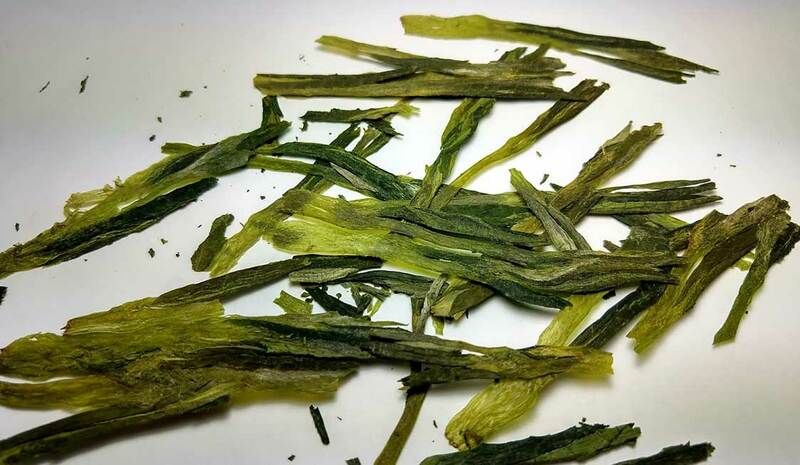 Very strong for a green tea, grassy to the point of being a little astringent. It is advertised as “Robust flavour, stronger and thicker green tea.” That is an understatement in my opinion. It reminds me of back when I first started trying teas with bad green tea bags. It lacks all of the subtlety and sweetness of a good green tea to me. Everyones tastes are different, so maybe someone would like it, but it is far too heavy for me to enjoy. Something about this tea makes it great on a mellow afternoon. Smooth, but still earthier than most green teas. It lacks the grassy flavor of the other greens I’ve been sampling. Not bitter at all, it is almost a little nutty. There is a sweetness to it, but there is something unique about it. It’s more of a background or undertone than something you taste up front. This is definitely a milder flavor than last weeks green. It has a pleasant aroma of wet grass once it’s brewed. It’s sweet and light, a little grassy but not woody at all. A nice tea, just nothing overly spectacular. 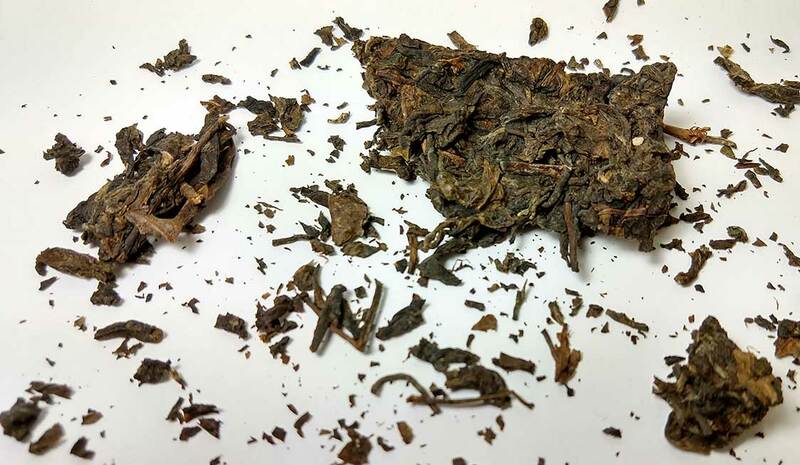 Last week I reviewed my last sample of Pu-erh, so switching it up again starting this week. I received this tea as a Christmas present and am really enjoying it. I’ve never had cardamom outside of chai tea before so I was excited to try this. 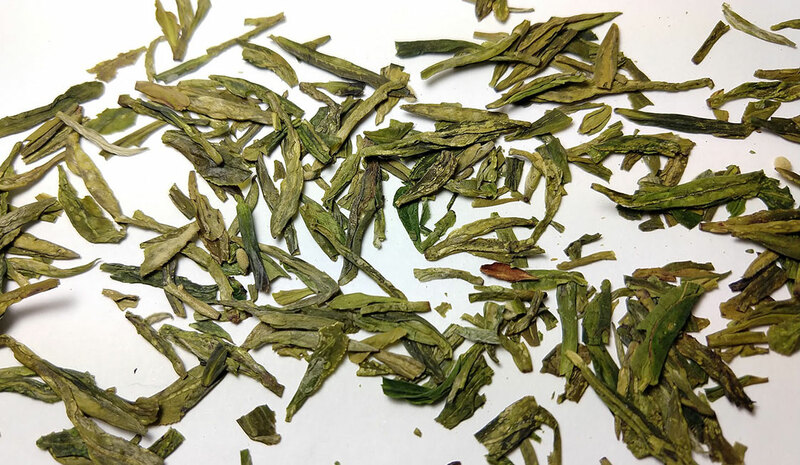 This is a really high-quality Ceylan tea with a large amount of cardamom flavor. The cardamom is citrusy with a spicy hint, reminds me a little bit of bergamot maybe, but definitely, it’s own unique flavor. It smells amazing both as leaves and when brewed, it’s almost worth making just to smell it. 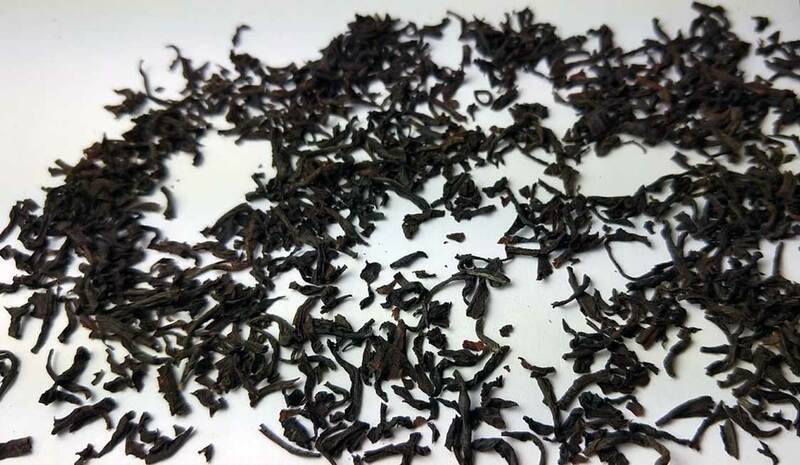 The Ceylon tea is extremely balanced, sweet and earthy in a way that plays very nicely with the spice. Side Note: I tried to find somewhere online you could purchase this from but didn’t have any luck, I found it at a local specialty grocery store, that’s probably your best bet. 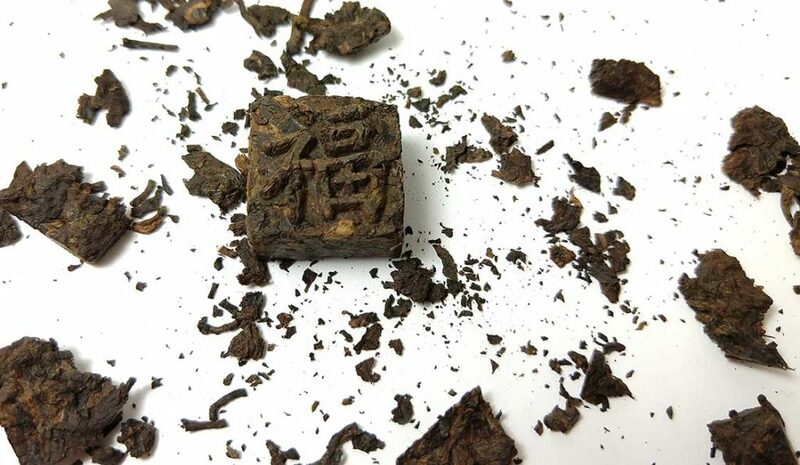 Another fun little mini-cake of ripened Pu-erh. 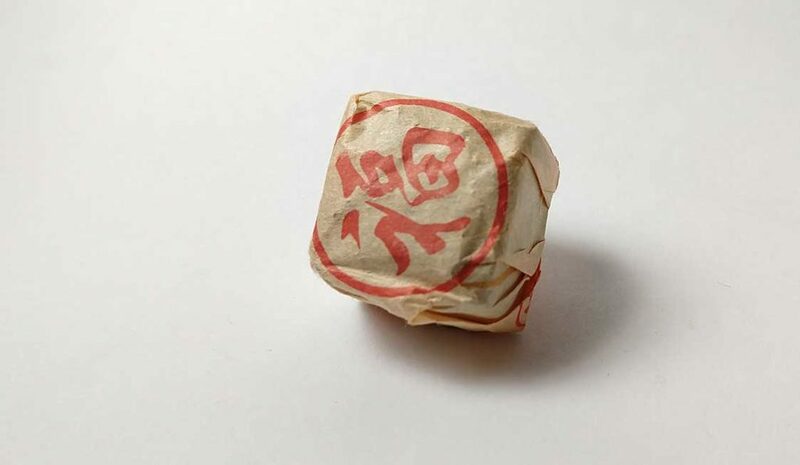 I’ve been having so much of the raw pu-erh that it’s been a while since I had fermented pu-erh, and this is definitely what I think of when I think of Pu-erh. It has a pretty pungent smell, though not too overpowering and almost a little sweet smelling. (More likely, I’ve just gotten used to it.) It has a strong dark full-bodied earthy flavor. The aging definitely gives it a more mellowness and pleasant aftertaste. It is a lot darker and stronger than the other toucha I tried last month, which was much lighter than I expected. This one could give coffee a run for its money in terms of robust flavor, but without the bitterness. 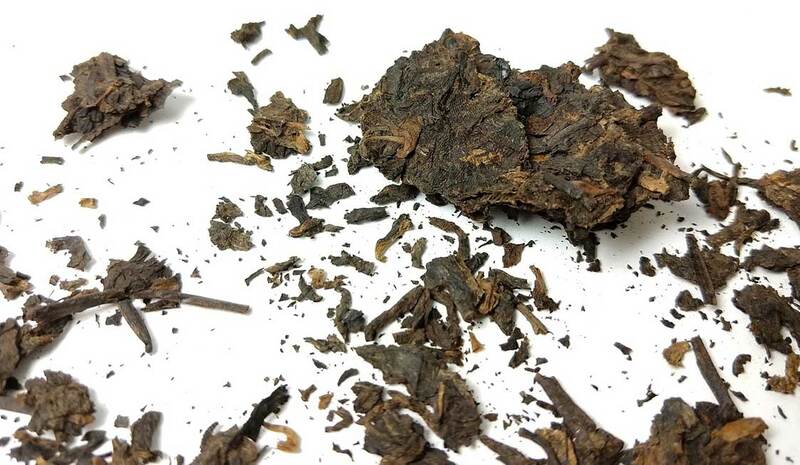 I think this is probably now taking the top spot for me for an unflavored ripened pu–erh. I was excited to see what tea that has been aged 10 years tasted like. I mean, I’ve had some tea that’s sat around for a long time in my cupboard before, but nothing even close to this old. 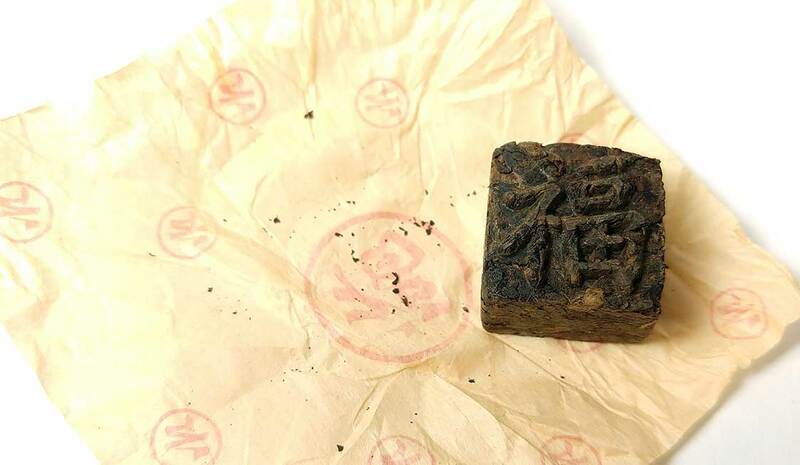 This is a “raw” Pu-erh, so it was picked, packed into a cake and left to sit in a special warehouse. If I had to pick one thing that the aging process adds I think it would be a subtle complexity. It’s not like most tea I try where I can pin down exactly what I am tasting right away. 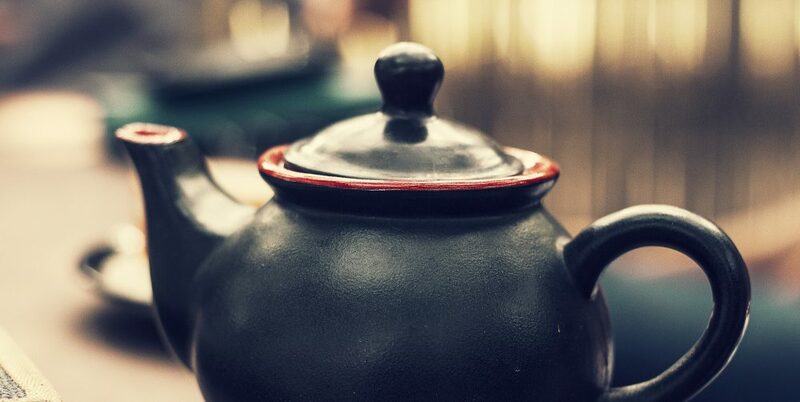 There was not the smell I associate with Pu-erh tea, it smelled almost sweet. It has a mildly sweet flavor, but with a hint of a woody aftertaste. Its a really pleasant cup to drink, very light and delicate. 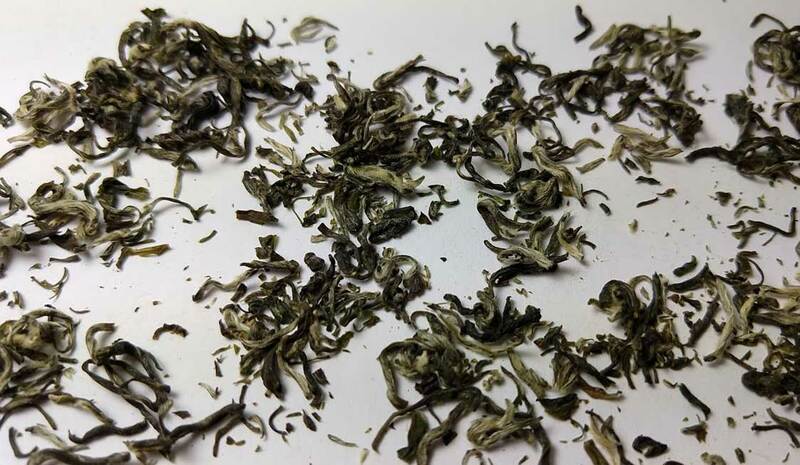 Since we are in the midst of the Holidays, I thought that this week would be a good one to take a break from pu–erh and review this tea. This was a one-off giveaway from Adagio that I had missed, but some of my friends were nice enough to give me some. 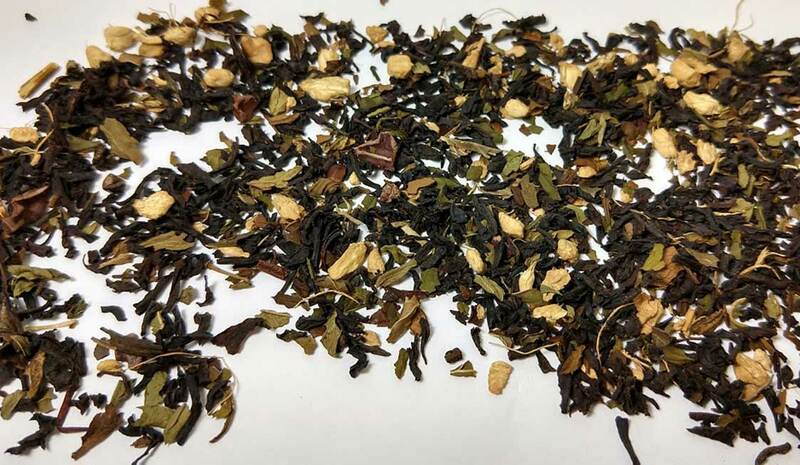 It’s a fun tea, with a nice mint and cocoa flavor added to a black tea. Definitely mintier than I was expecting, but in a good way. It reminds me of a more mellow (and better) cocomint tea. It has a hint of ginger, although nothing too strong. A great tea for the holidays, especially when you get it free! 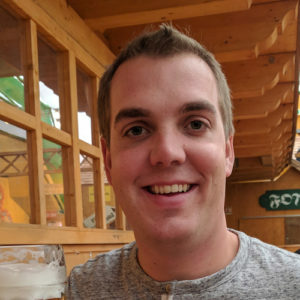 Purchased: Gifted, and not available form adagio anymore – sorry!